Cosmic Twins is a holistic start-up based off ancient Ayurveda formulations its founders grew up learning and applying at home. Their natural bent of mind and the avoidable commercial infiltration of life-threatening chemicals and toxins in our everyday products encouraged them to research and experiment with recipes for handcrafted, simple self-care products. The ingredients and packaging that are 100% safe, naturally potent, and highly effective., based off gentle plant-based minerals and aromatherapy to nourish skin and body, offering tangible results We believe the more we habituate the environment, the more it yields. In the process most of the ingredients are wild-harvested locally by us, committing to whole and certified organic farming. 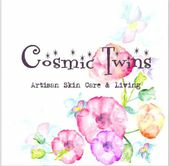 With Cosmic Twins, the mission is to provide luxurious yet affordable products enriching and uplifting your senses.